When your entire home is under one thousand square feet, you use each foot wisely. Space conservation is a way of life. This becomes difficult with the addition of a baby and all those baby things. However, a baby in an apartment puts space conservation directly at odds with baby product acquisition. A serious dilemma. The best way to face this obstacle is to choose baby products intelligently - the most compact versions of only essential baby products. 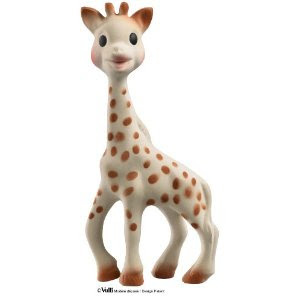 By essential I mean diapers, not Sofie the Giraffe. 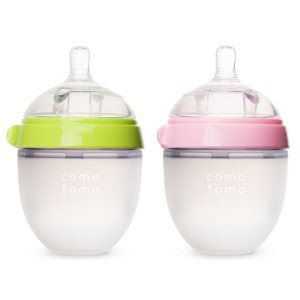 A couple weeks ago I solicited some ideas, advice and thoughts on truly essential baby products (here is the post). 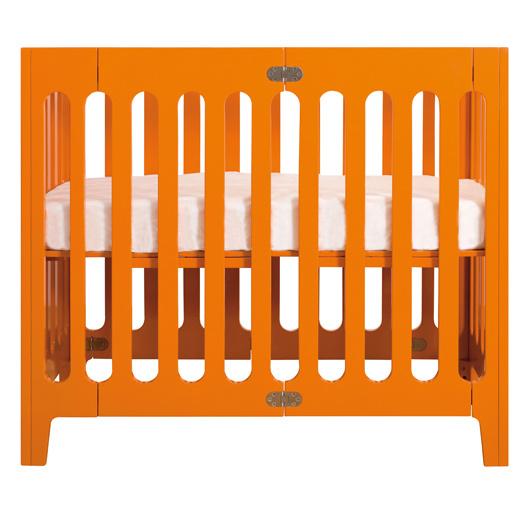 Today kicks off the first of a series of ten posts about essential baby products for those of us who live in small miniature spaces. The first edition of the series will be all about a place for the little one to sleep, an essential that quite a few New Stop Baby followers listed as a true essential. Makes sense. Stokke makes a unique, oval-shaped mini crib. It grows with the baby by adding wooden pieces to lengthen the sides ($725 - $1,000). 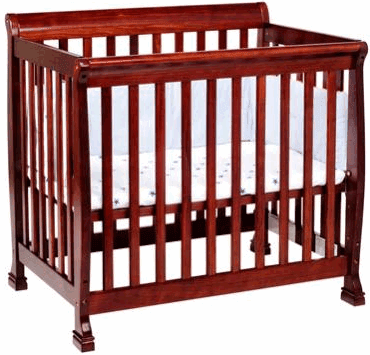 DaVinci makes four styles of mini cribs (Kalani below) each less than 40" in length (versus standard cribs that are closer to 55"). 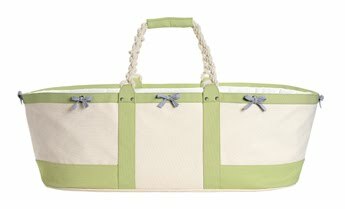 The prices range from $165-$199 (at BabyEarth.com). Bloom makes an entire set of euro (aka mini) furniture for a small nursery. The crib below sells for $400, but check Amazon.com because I found it listed for as low as $360. 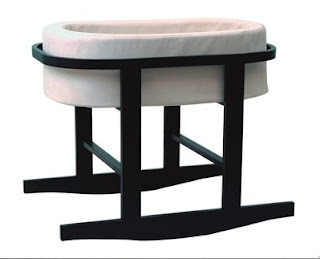 Eddie Bauer makes this reasonably priced (approximately $130), highly rated bassinet. 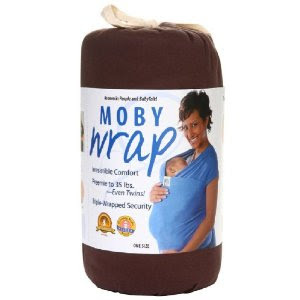 It can gently rock your baby to sleep or be locked into place. 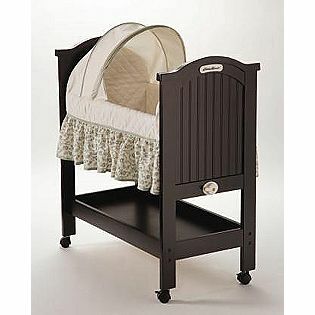 Monte makes the Ninna-Nanna Bassinet ($395). 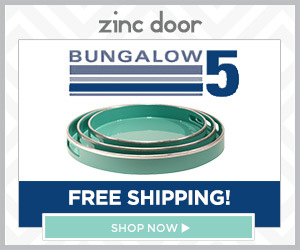 There are two color combinations in its cool, contemporary shape. Serena & Lily makes this canvas basket in six different color combinations, each for $250. 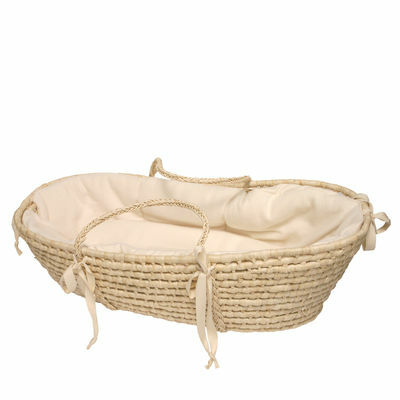 Giggle - This organic Moses Basket sold at Giggle ($230) is made of palm and lined with 100% organic fleece that is filled with hypoallergenic fill. I slept in an (open!) dresser drawer lined with a blanket for the first several months of my life!